Mitigates irritations and signs of fatigue. 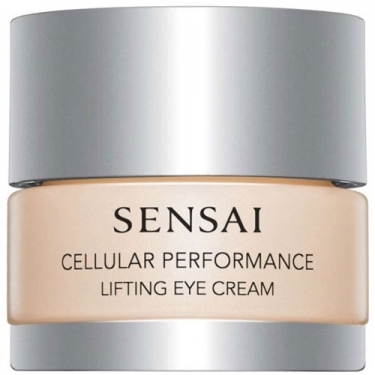 Sensai Kanebo - Lifting Eye Cream is an anti-sagging formula to address the special needs of the skin around the delicate eye area. The eyes are the telltale signs of aging and fatigue and bluish dark circles are a result of poor microcirculation that appears overtime. Therefore it is vital to hydrate and nourish properly skin tissues for healthy firmer looking eyes.